We have opened a great, inspiring culture cell in the centre of Guangzhou, China. It's in an artspace with around 40 other studios with artists from various creative realms. A GREAT PLACE TO STAY, DEVELOP YOUR CREATIVE WORKS, AND TO COLLABORATE WITH OTHERS !!! CWCC aims to develop further in the years to come. In addition to building up its own centres at various locations in Norway and abroad, CWCC also plans to connect to already existing cultural centres around the world to help form and take part in an International Cultural Collaboration Network. 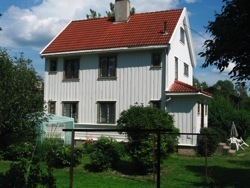 CWCC has opened a culture-house at Stabekk, outside of Oslo, the capitol of Norway. This is a place for workshops, ethnic jams, exhibitions, seminars, roleplays, etc, all with the aim of getting people of different ethnic and artistic backgrounds together for collaboration. The centre will also welcome visitors, and hope to make people curious about its activities. There will be plenty of chances to take part in activities for everyone interested. ”Artist in residence” facilities are also being developed. Through this, artists from around the world can come and stay for longer periods of time, work with their own art, participate in activities at the centre, and give lectures in the region.